Mercedes-Benz also called for adopting a less ambitious plan of promoting e-cars arguing that a nationwide electrification of the auto industry is just not commercially and technologically viable. 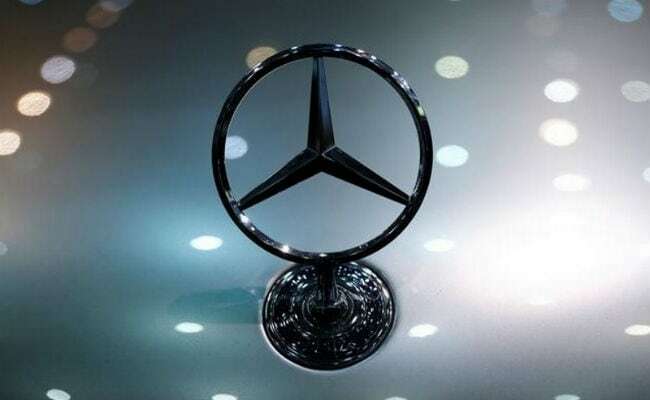 Mumbai: Luxury carmaker Mercedes-Benz has urged the government "not to rush with the all-electric vehicles push" and thus "foreclose better technological options" for future generations as the rest of the world is racing to run on hydrogen and not electricity. The car manufacturer also called for adopting a less ambitious plan of promoting e-cars arguing that a nationwide electrification of the auto industry is just not commercially and technologically viable. More importantly, he added, with such a rush we are foreclosing options for better technologies for the future generations. Mr Folger was talking to PTI in a freewheeling interaction recently. The auto industry in the country was taken by surprise after the Narendra Modi government announced last year that the entire auto industry would go electric by the turn of 2030. The announcement came on the heels of the government skipping one stage in pollution standards, and advancing the introduction of BS-VI fuel by two years. But there have been widespread criticism from many quarters that the nationwide e-cars plan is neither economically nor technologically feasible and is based more on impulse than sound planning, strategy or technology. Calling for better and coordinated efforts, Mr Folger said, "Ideally, regulators and policymakers should be totally aligned with what's happening on the technology front because 5-10 years is a short period in the auto landscape. The least policymakers can do is to take the auto industry into confidence." Pointing out that the time frame announced to go all electric is very short, given the very long-term nature of the auto industry, he said this would mean that all auto companies stop investing in or developing any more products. "If so what will happen to the investments already made in other technologies? Our planners should know that over the next two decades or so the whole world will be driving hydrogen cars and not electric cars," Mr Folger said. On the huge financial burden the plan would be on the nation, he wondered whether the government has thought about this aspect before arriving at this decision. "Can the government invest hundreds of billions of dollars into setting up charging stations and associated infrastructure? If not, then who will foot the bill? Definitely not the private sector. If at all government manages to raise funds, is it worth the effort in terms of meeting the key objective of bringing down pollution?" he asked. In fact, Mr Folger thinks that the move would be "more counter-productive in terms of additional power demand, as you are still building and supporting thermal power plants." "Yes, with the current coal-based power generation model, this would be more polluting as demand for electricity will jump manifold. Or do we have the finances to upgrade all our old thermal plants? Or can we go completely off polluting coal plants? If yes, what is the cost that such a plan will entail?" he wondered. As a way out, Mr Folger suggested "plug-in hybrids" as the best option for the country despite such vehicles being costlier than e-cars. "Yes plug-in hybrids are more costly than e-cars. But if we consider the cumulative cost of putting up nationwide infrastructure in terms of charging stations and other supporting infra for electrification, plug-in hybrids are more affordable," he said. Calling for strong government support in terms of policies, taxation and in building infrastructure in cities, he said "a nationwide electrification of the auto industry is just not commercially and technologically viable."